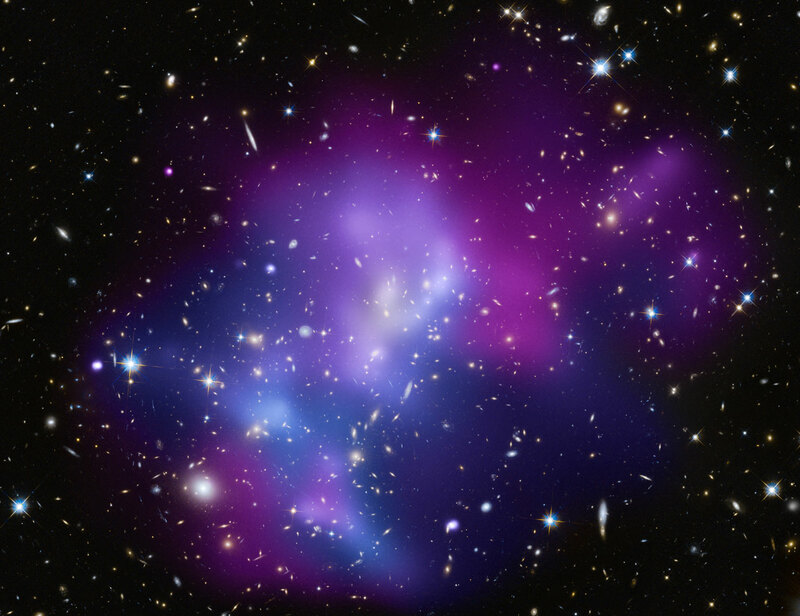 STScI-2009-17 The most crowded collision of galaxy clusters has been identified by combining information from three different telescopes. This result gives scientists a chance to learn what happens when some of the largest objects in the universe go at each other in a cosmic free-for-all. Using data from NASA's Chandra X-ray Observatory, Hubble Space Telescope, and the Keck Observatory in Hawaii, astronomers were able to determine the three-dimensional geometry and motion in the system MACS J0717.5+3745 (or MACS J0717, for short), located about 5.4 billion light-years from Earth.